As you know, we LOVE Disney World! There are lots of activities to enjoy around the Walt Disney World Resort that are free or nearly free! You can walk around this huge shopping, diagnosis dining and entertainment complex at Disney World. There is free entertainment at the Disney Springs that includes getting your picture taken with statutes of Buzz Lightyear and a pirate from the crew of the Flying Duchess, sale watching the boats, sprites, and ferries travel across the bay, pin trading at the pin pavilion, and the kids can play at the Lego Store area. To stay cool, the kids can bring their swimsuits and play in the water jet area. Additionally, Westside (the western side of Disney Springs) has several excellent restaurants, including Bongos Cuban Café, House of Blues, and Wolfgang Puck’s. Virgin Records also has a two-story store on the Westside that carries books, music, and videos. All of which can be sampled for FREE while visiting this store. You can visit the animals in the savanna at Disney’s Animal Kingdom Lodge. Depending on your viewing location, of which there are several, you will see giraffe, pelicans, flamingos, monkeys, and gazelles roaming the 33-acre wildlife preserve that surrounds the resort. There are several educational programs throughout the day including special viewings in the evening with night vision goggles and special feeding times throughout the day. At the end of the day, stories will be told around the fire pit just outside the main lobby. Take a Hidden Mickey Hunt around any of the Disney resorts. Many of the resort front desks will have a Hidden Mickey guide for that resort, such as the Hidden Mickey Safari at Disney’s Animal Kingdom Lodge. These hidden versions of the classic Mickey ears logo (°o°) can be found throughout Disney property. This is a fun activity for kids and adults! Disney’s Fort Wilderness Resort has a fun area near Pioneer Hall that has stables with horses from Magic Kingdom and a petting zoo area. Plus for a nominal fee, kids can take a pony ride. While you’re here, Disney’s Fort Wilderness Resort has some of the most scenic and lengthy walking paths of any resort on Disney property, so get out there and enjoy some fitness in the beautiful Florida weather! Enjoy a leisure boat ride from Disney Springs to Disney’s Port Orleans Riverside Resort. You can walk around the beautiful trails and rivers around Disney’s Port Orleans Riverside and then ride the water taxi back to Disney Springs. Additionally, you can take a ride on one of the ferries that takes resort guests to the Magic Kingdom and Disney’s Hollywood Studios. These include the ferry from the Wilderness Lodge that goes to Magic Kingdom, then Fort Wilderness, and finally back to Wilderness Lodge. This ferry gives riders great views of both Bay Lake and the Seven Seas Lagoon, including seeing long forgotten Disney attractions like River Country and Treasure Island. Also, this ride will take you over one of the engineering feats on Disney property, the water “bridge.” This canal passes over a road as cars pass “under” the water. Disney’s Boardwalk, Yacht & Beach Clubs, and the Swan and Dolphin have a ferry that travels from these resorts to Disney’s Hollywood Studios and back providing amazing views of the Florida landscape and the Tower of Terror ride. All the resorts will provide you with a short-term parking permit (2-3 hours, depending on the season) to explore the resort. Spend an evening in a hammock on the beach at Disney’s Polynesian Resort while you watch the Electrical Water Pageant. This fun water parade runs in front of Disney’s Grand Floridian Resort, Disney’s Polynesian Resort, Disney’s Contemporary Resort, Disney’s Wilderness Lodge Resort, and Disney’s Fort Wilderness Resort, nightly. You can watch the Happily Ever After Fireworks at Magic Kingdom from the Deck at Disney’s Contemporary Resort. This is an amazing view of the fireworks above Cinderella Castle. You can take a ride on the monorail loop to see some of the Walt Disney World Resort. This is always a fun ride for the whole family. The main loop goes from the Magic Kingdom front entrance to the Ticketing and Transportation Center to EPCOT and back. There is also an “inner” loop that will take you from the front entrance of Magic Kingdom to Disney’s Grand Floridian, Disney’s Polynesian Resort, Disney’s Contemporary Resort, and then returning to the front entrance of Magic Kingdom. You can even ask a Disney Cast Member if you can ride at the front with the driver. If you are lucky enough to ride up front, the driver will present you with a Monorail Driver’s License! Enjoy a fun evening of roasting marshmallows over the campfire on the beach at Disney’s Yacht & Beach Club Resort. Then after marshmallows, you can watch a Disney Classic movie outside under the stars. It is a relaxing way to end the day! Enjoy evening activities on Disney’s Boardwalk including games and live entertainment. You can even see some of the IllumiNations Show at Epcot along the Disney’s Boardwalk. 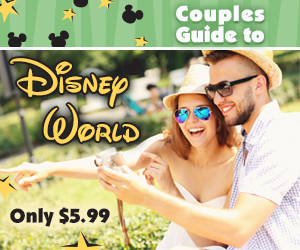 Enjoy planning your Disney World vacation! We found this article on Jones Family Travels. Be sure you check out their Disney videos and blog posts to help plan your next Disney World vacation.